I am a Postdoctoral Fellow in Sussex Neuroscience studying neurodegeneration. I obtained my BSc in Human Anatomy from the University of Maiduguri, Nigeria, where I developed a keen interest in Neuroscience. Afterward, I served as a lecturer at the school of Psychiatric Nursing, Federal Neuropsychiatric Hospital Maiduguri, Nigeria and later joined Gombe State University's College of Medical Sciences in Nigeria as a lecturer. In 2011, I joined the University of Sussex for my MSc in Cellular and Molecular Neuroscience, followed by a PhD in Neuroscience in the Serpell Laboratory where I worked on two proteins important in Alzheimer's disease. When I am not in the Lab, I would be found somewhere passionately promoting and communicating science. 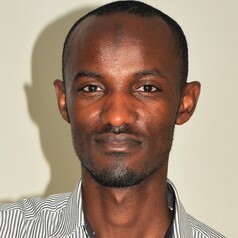 I have organised and participated in science communication activities in Africa (mainly Nigeria and Uganda) and the UK. I founded the TReND in Africa Outreach Programme and serve as the Outreach Coordinator. I also founded Science Communication Hub Nigeria to enhance students access to science role models and public access to accurate science. I was a recipient of the Royal Society of Biology Science Communication Award in 2017 and became a Fellow of the Royal Society of Arts in 2018 with a mission to enlarge science through public engagement in Africa.